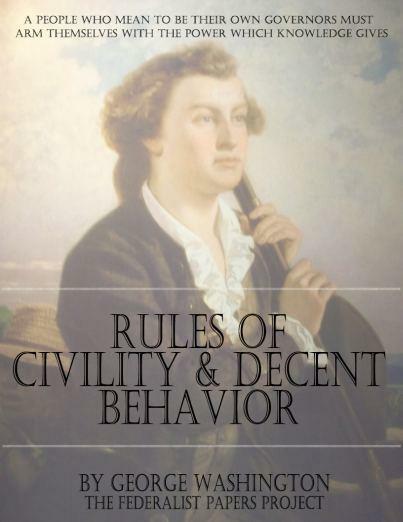 Please help yourself to a free copy of “Rules of Civility and Decent Behavior” by George Washington. Deep in an inner labyrinth of the Library of Congress, on an ordinary-looking metal shelf, sits a slim, tattered paper notebook. It is stained and spotted with age, and its outermost pages appear to have flaked away long ago. But this unprepossessing volume is one of the national library’s greatest treasures — for that schoolboy was, of course, none other than George Washington, aged about fifteen. Along with two similar notebooks of geometry lessons, it is one of the very few documents to survive from his childhood and adolescence. 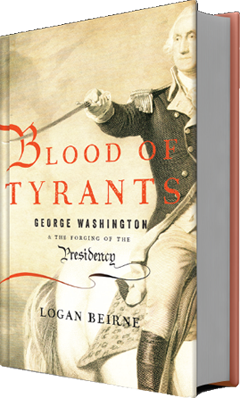 Its last ten pages are filled with the Rules of Civility & Decent Behavior in Company & Conversation reprinted here, which have fascinated our first president’s biographers for nearly two centuries. This entry was posted in Postings on April 3, 2013 by loganbeirne.